Working from home is more popular than ever as 70 percent of the global workforce telecommutes at least once a week. 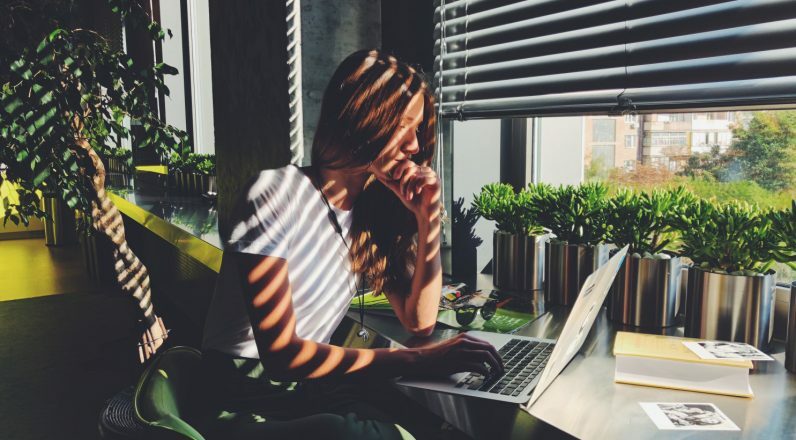 A major challenge to a remote working arrangement is keeping employees connected and engaged with their team as it’s common for them to feel lonely and isolated. According to the research included in Back to Human: How Great Leaders Create Connection in the Age of Isolation, written by workplace expert Dan Schawbel, a third of surveyed employees report missing out on interactions with coworkers when they’re not in the office. To help employees reduce the loneliness of working from home and remain productive and excited about their contributions, leaders should embrace the following tips from Schawbel. When it’s appropriate, Schawbel encourages companies to assign two team members to a project, whether they’re both remote or one’s remote and the other’s working from the office. The goal of assigning two employees is to give them the opportunity to work together closely, necessitating that they communicate often and learn from one another. In some cases, pairing up employees will help them find colleagues at their company that they can rely on, get feedback from and even become friends with. According to Schawbel’s research, cultivating work friendships is important as 60 percent of survey respondents said they were more likely to stay at their company if they had friends. Remote workers want to be involved with what’s happening at their company, be aware of the team’s progress and receive feedback on their contributions, which needs to be communicated. Since they’re not down the hall or in the next office, extra attention needs to be given to how your team is specifically communicating with remote employees and vice versa. Establish guidelines that define how often communication is expected and the preferred methods of communication for different types of discussions. For example, your guidelines might clarify that informal conversations will likely occur over a messaging service, while formal meetings need to be conducted over video. Without clear policies in place, it’s easy for communication lags to develop that leave remote team members feeling isolated and confused as to how to reach their colleagues. Many professionals have developed an overreliance on technology when communicating, especially when working with remote employees. While tools like messaging services can streamline a conversation and allow for instantaneous communication across devices, they often remove the important human element. To counter the downsides of email, chat and messaging services, schedule phone calls and video conferences on a frequent basis to connect more deeply with remote workers. Phone calls allow team members to hear each other’s voice and understand the tone of the conversation they’re having. While a video conference allows team members on each side of the call to see each other’s body language and make eye contact. Technology isn’t inherently bad, but it’s important to make thoughtful choices about how to best use it to cultivate relationships between team members. Schawbel suggests thinking about requiring remote employees to come to the office a few times a year with the goal of building deeper connections with their colleagues. In an interview with Ben & Jerry’s, he learned that the ice cream company requires remote workers to come to the office quarterly to strengthen team dynamics and the importance of their work. A popular approach for companies with an entirely remote team is to have everyone meet in-person throughout the year on a retreat to bond and work together for a short period of time. No one wants to feel like an afterthought, which is why it’s important to treat your remote employees like you would a co-worker sitting in the desk next to you. Spend the time necessary to make remote workers feel valued and aware of their impact on their team’s success. While there are some limitations, try to offer the same perks, policies, incentives and programs to remote employees that are offered to staff members working from the office. All of these tips from Schawbel boil down to showing empathy for remote workers, which makes all the difference in making them feel part of the team.